A Samaritan's Purse writer who was present for South Sudan?s Independence Day celebration remembers that work remains to be done to serve the suffering. A hospital chaplain in Papua New Guinea helps bring spiritual healing to patients. Samaritan's Purse continues to meet the needs of people in South Sudan a year after the nation gained independence. Read stories, watch videos, and see photos that tell the story of our work in the fledgling nation. Read stories, watch videos, and see photos that tell the story of our work in the fledgling nation. 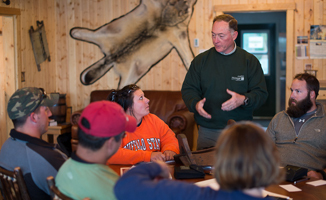 See a photo gallery of the first group of military heroes to visit Samaritan Lodge Alaska, the new retreat center for wounded military personnel and their spouses. 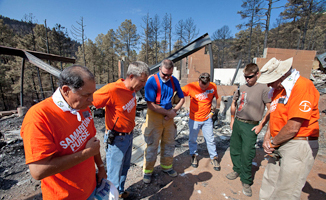 Samaritan's Purse teams responding to wildfires and flooding are conveying the message that God cares. Click here for stories, photos, and videos about our response. 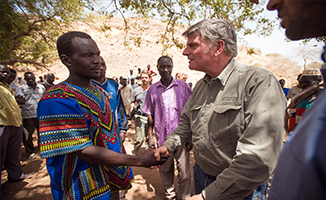 Samaritan's Purse continues to meet critical needs at two camps in South Sudan for a growing number of people fleeing violence across the border in Sudan. Click here to read more, see a photo gallery, and to get updates about the crisis.